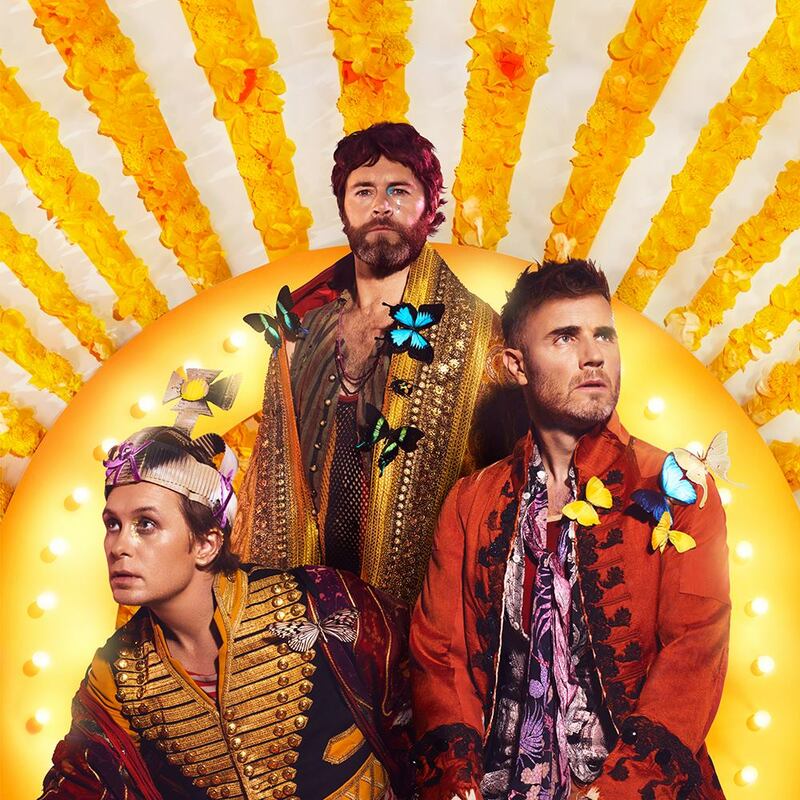 It’s not really a new day for Take That; merely the premiere overnight of their latest music video. If you’re not up with the recent news for the British boyband, they’re headed our way for their first live shows in 22 years later this year. That is, of course, if tickets continue to sell in the months ahead. What might stop them is the fact that they’ve not been here in such a long time (silly). And they’ve seemingly done no promo for the dates since they were announced (also silly). Even when their label reserviced their last single ‘Giants’ to media in the wake of the tour announcement, there was no mention of said tour announcement on the burst. Alas, we digress. This is the video for the boys’ new single ‘New Day’. ‘New Day’ is the second single to be plucked from their latest album ‘Wonderland’. Howard’s driving cross country on the lookout for the other boys, who are seemingly being pursued by evil forces. By the end, however, those evil forces don’t seem so evil after all. Look it’s not their best single by any stretch, but we’ll take it.